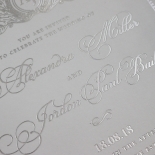 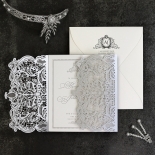 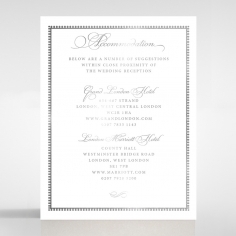 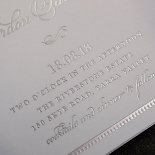 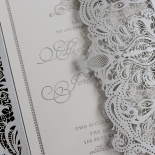 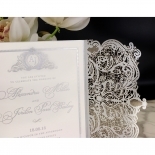 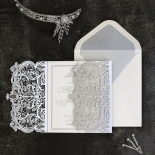 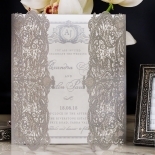 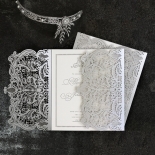 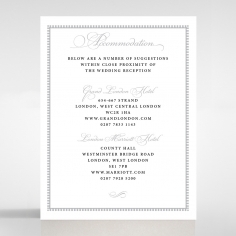 This luxurious invitation is definitely worthy of a royal celebration. 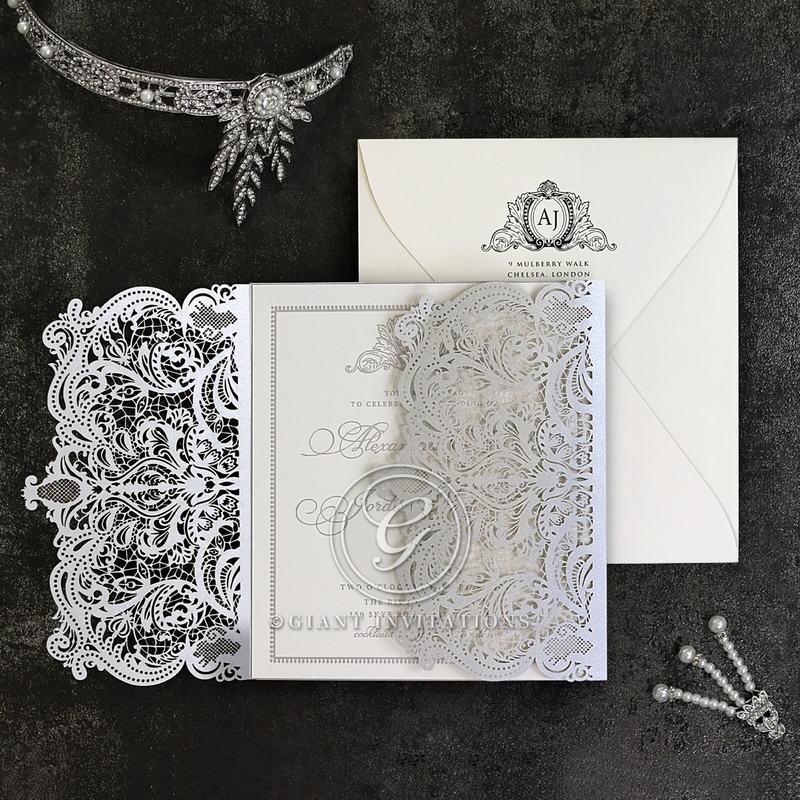 Featuring a Victorianesque gatefold intricately laser cut to reveal its majestic charm, the antique golden gatefold boldly unfolds to reveal an inner pearlised card. 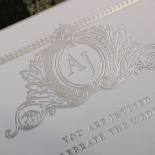 Peeking from the top is a customisable crest to reflect the celebration's elegance and lavishness. 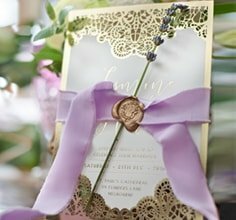 Bringing a touch of glamor is a unique golden border that adds to the grandiose nature of your big day. 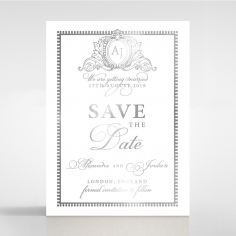 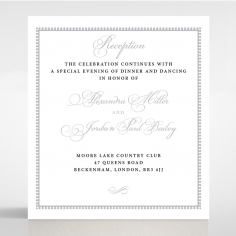 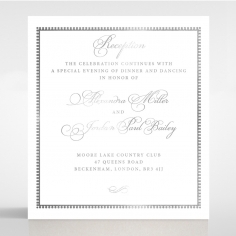 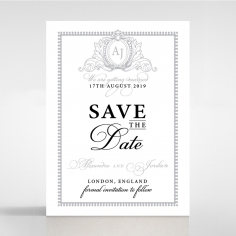 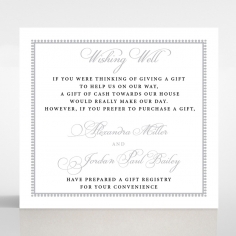 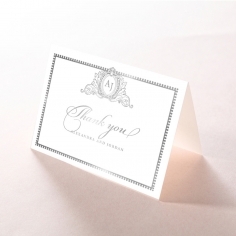 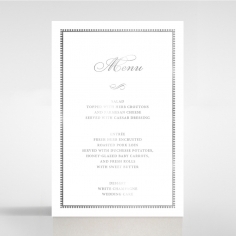 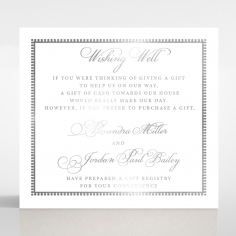 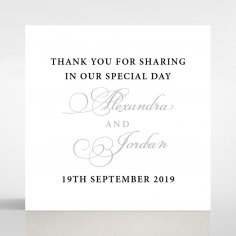 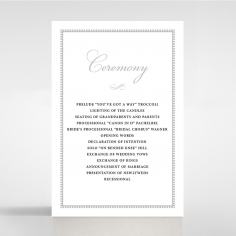 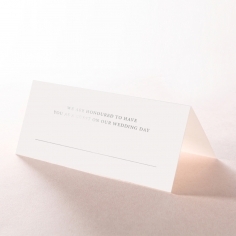 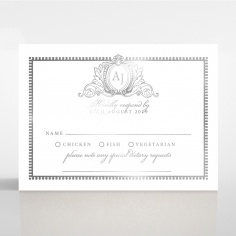 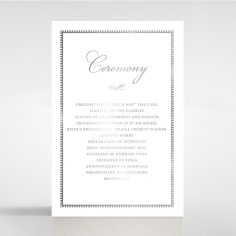 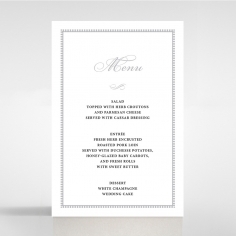 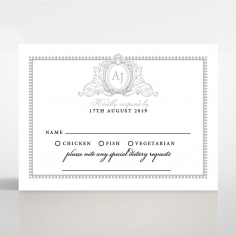 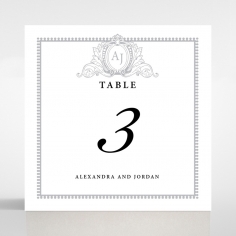 And surely to impress, this card comes fully customisable with font and wording of your choice. 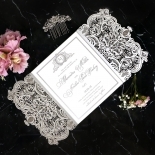 Emperial Charm is a design which is sure to make a bold statement while also exuding luxe and sophistication that will stand the test of time.